One of my favorite sites in summer on this island is watching the grass fields at Pimpneymouse Farm being cut. 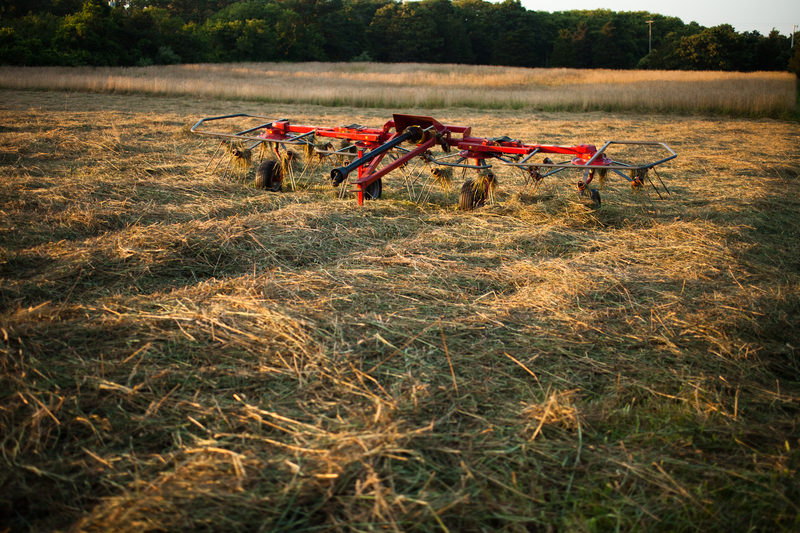 Haymaking is a learned art, and the farmers at Pimpneymouse are masters at it. The hay has to be cut, dried, raked and baled before the next rain. This long week of intense heat offers the window to get the job done.